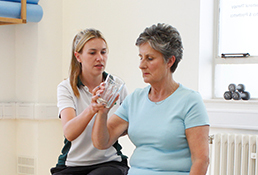 Liverpool OT provide private Occupational Therapy Services throughout Merseyside in Liverpool, Wirral, Sefton, Knowsley, St Helens and the surrounding areas. Liverpool OT have many specialist Occupational Therapists allowing us to provide the very best Occupational Therapist to meet your needs. Liverpool OT have Occupational Therapists specialising in neurology, paediatrics, sensory, elderly, mental health, orthopaedic, rheumatology and learning difficulties. Liverpool OT have no waiting lists and strive to assist individuals in reaching their goals, promote restoration of activities of daily living, and improve the quality of life of all of our patients. Home and clinic assessment and treatment appointments are available. Please contact us or call 0151 558 0022 or email us at office@liverpoolot.co.uk to find out how Liverpool OT can work with you. We also offer free telephone consultations to help you determine if occupational therapy is for you.